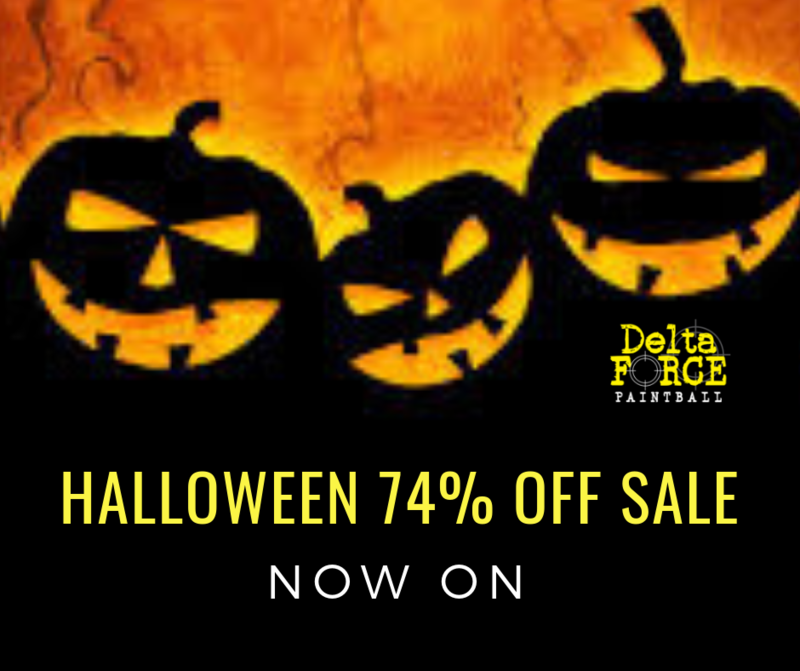 Make the most of this exclusive offer to experience paintball the Delta Force way! Book in BEFORE HALLOWEEN to receive full day entry, equipment and your first 100 paintballs for just $9 per person! Booking in advance essential, call 1300 102 422 by Midnight 31.10.18. $9 per person for entry, equipment & 100 paintballs. All payments are non-transferable and non-refundable. Not to be used in conjunction with any other offer. Not valid for Miniball. Additional paintballs can be purchased on arrival at the paintball centre or pre-ordered at time of booking. All other standard T & Cs apply.